MUA is one of the most surprisingly pleasing cosmetic brands out there. It’s ridiculously cheap, gives amazing quality products and gives the higher end brands a run for their money. If you’ve never bought an MUA product or not felt swayed to, this is me urging you to. MUA aren’t paying me to do this, honestly. The proof is just in the pudding. For today’s post I’m talking about 2 of their products; their Undress Your Skin Highlighting Powder and Mosaic Bronzer in Natural Glow. For £3, this is a little gem. I use my Real Techniques Pointed Foundation Brush to dab this lightly to the top of my cheek bones, and it works really well as I’m able to apply at a precise angle. Although it appears as a dusty pink colour in the pan, it transfers to a gorgeous pale shimmer and there’s no glitter present. No Edward Cullen Effect; it’s not too much, and not too little. I have found the packaging a bit of a pain to open, but that might just be me. However the pan inside is beautiful; the raised wave effect makes it look a lot pricier than just 3 quid! Even if you’re not on a budget and you just love a glowy highlight, this is the product for you. 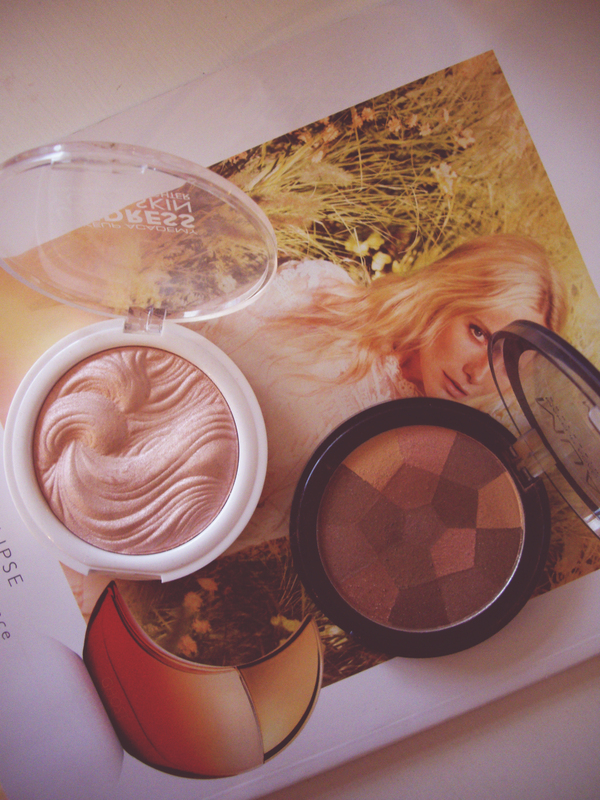 Although this product is defined as a bronzer, I find it the perfect product for contouring. The pigmentation is incredible; it packs a lot of punch so a quick swirl round the palette with my Real Techniques Contour Brush and it gives the hollows of my cheeks a lot of definition. 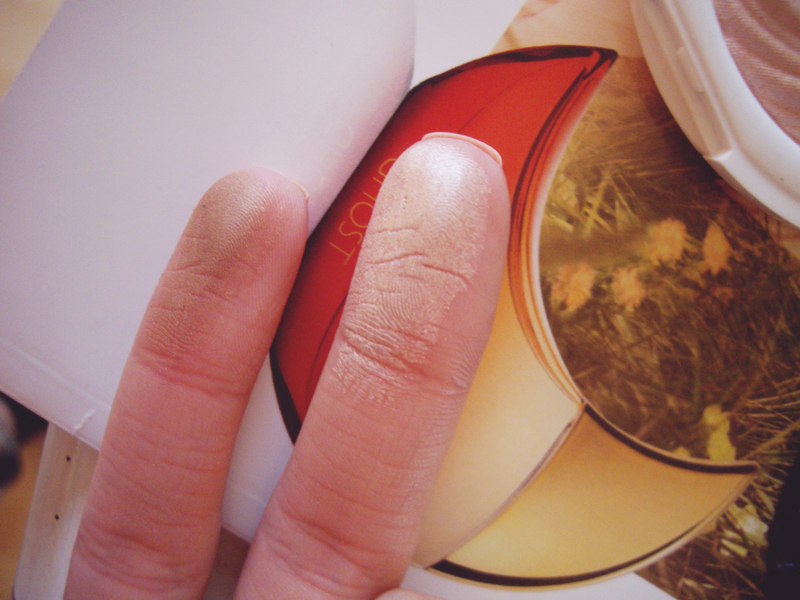 Initially, I wondered how the colours in the palette would work together as a bronzer; green, yellow and purple? I was surprised to find swirling the colours actually worked really well! It’s not too orange, and not too ashy. 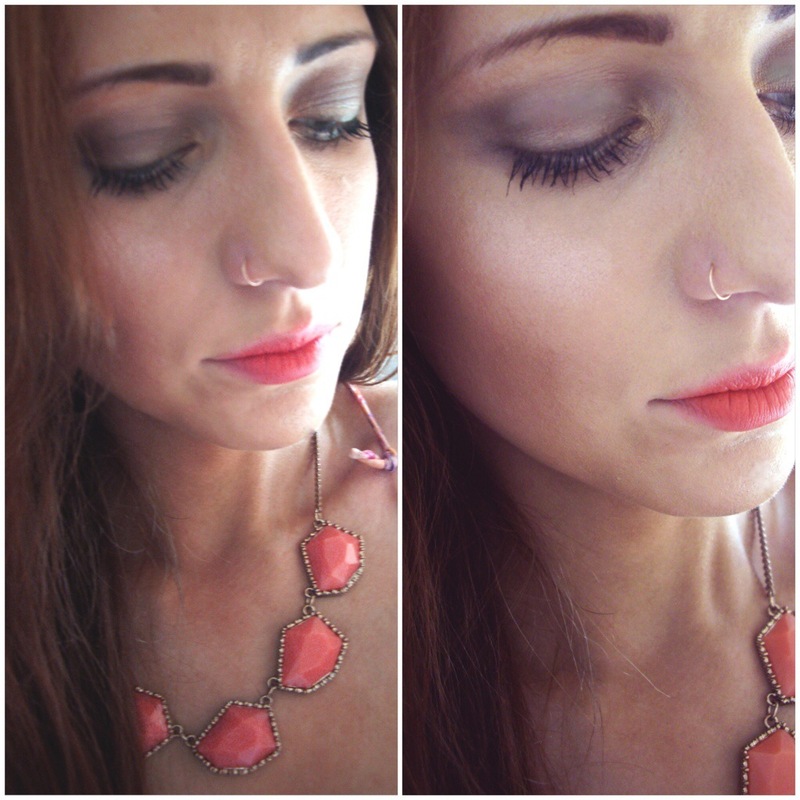 Overall, it’s a great £2.50 bronzer. 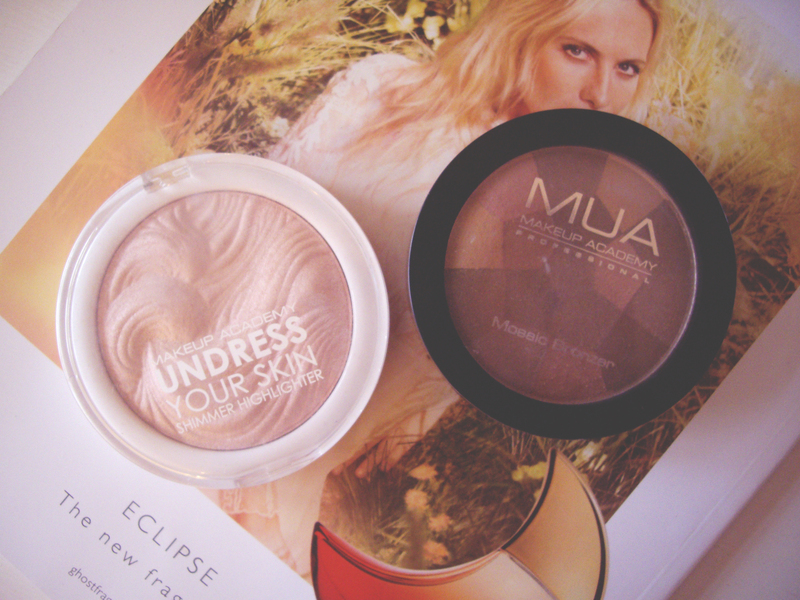 Have you tried any of MUA’s face products?